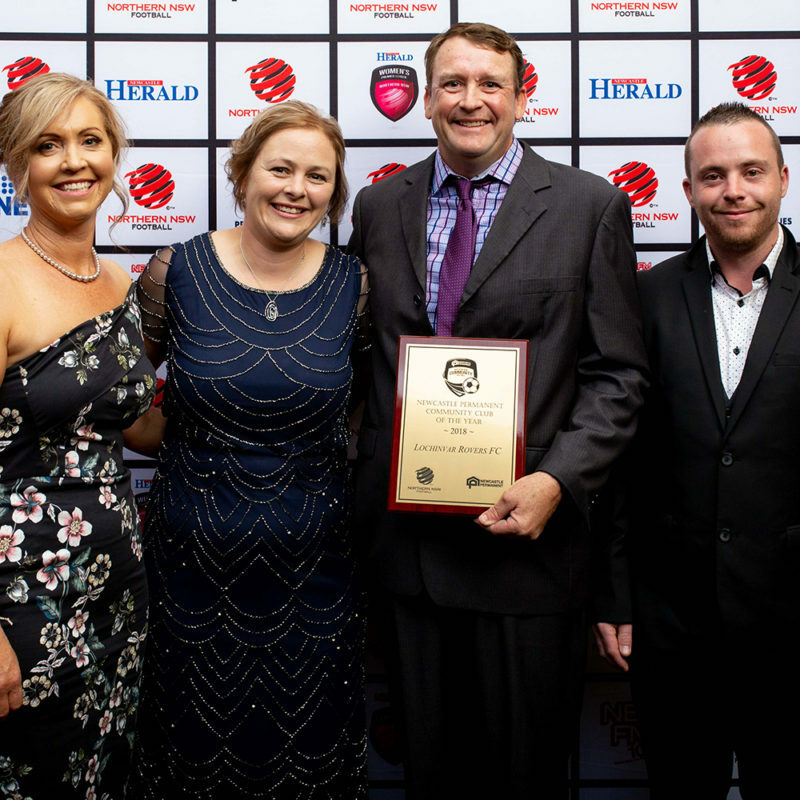 The Jennings Medal signified the culmination of the 2018 football season, recognising and celebrating the best teams, players and clubs throughout Northern NSW Football’s seven (7) member zones.  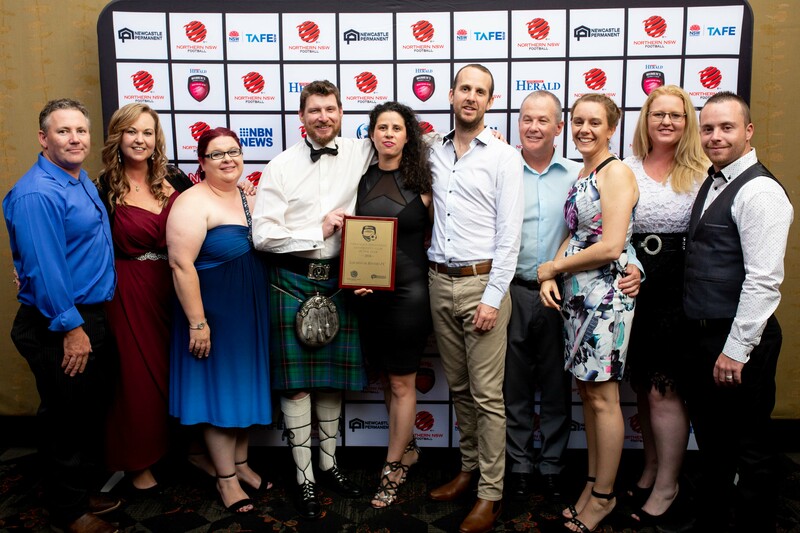 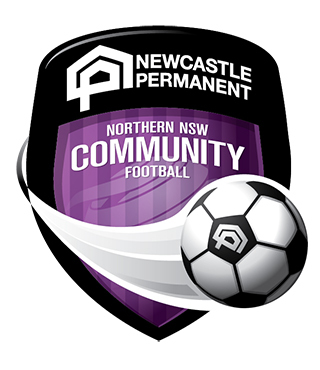 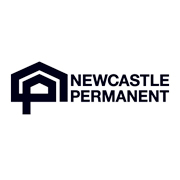 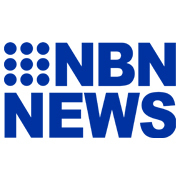 The Community Recognition Awards were introduced in 2015 by major community football partner Newcastle Permanent to honour those who may not play the game, however provide immeasurable contribution to make the game run during the season. 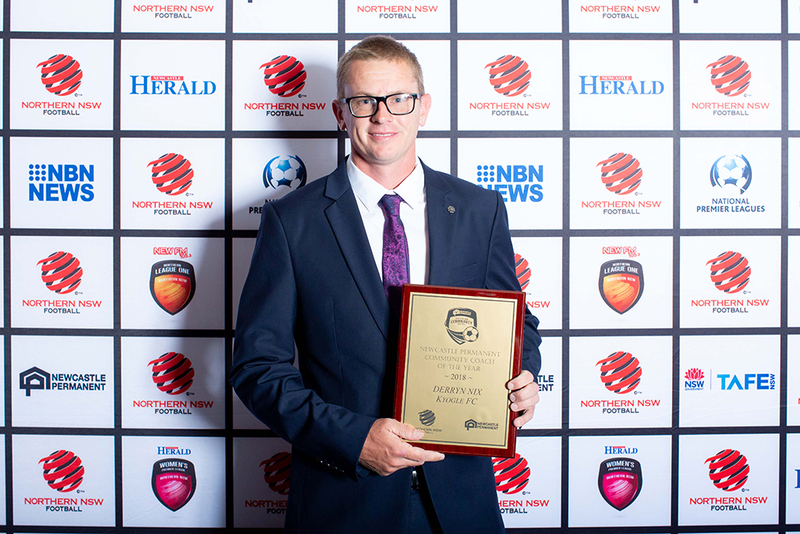 Four Newcastle Permanent Community Awards were awarded on the night including Volunteer of the Year, Coach of the Year, Referee of the Year and Club of the Year. 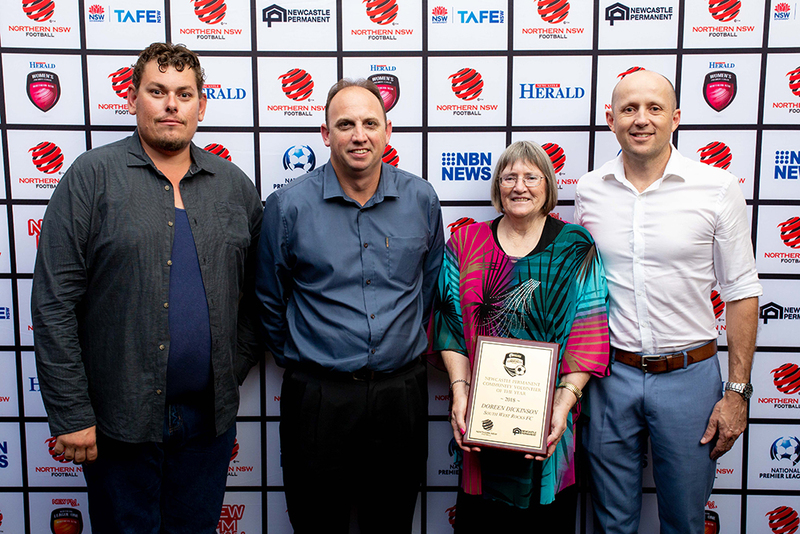 Doreen Dickinson, who was nominated for the award by her local zone, Football Mid North Coast for her ongoing commitment and dedication to football over her 20 years of service at South West Rocks Football Club, received the Newcastle Permanent Volunteer of the Year award, while Derryn Nix from Kyogle FC in the Football Far North Coast zone received the Newcastle Permanent Coach of the Year his ongoing commitment and dedication to football over commitment to a number of teams at the club. 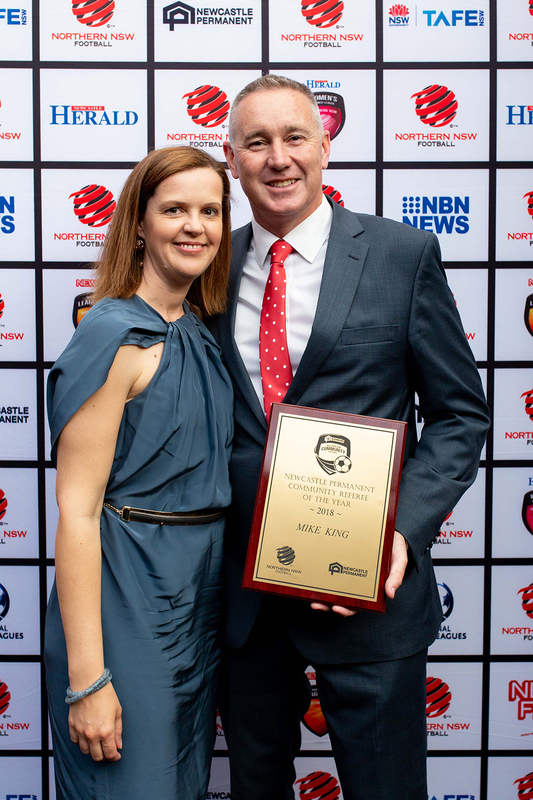 Referee from Newcastle Football, Mike King received the Newcastle Permanent Referee of the Year award for his ongoing commitment to football as well as carrying the highest ethics of a Match Official each and every time he enters the field, while the Newcastle Permanent Club of the Year award was awarded to Hunter Valley Football’s Lochinvar Rovers FC for not only being the first club in Australia to achieve level 3 accreditation through the FFA National Club Accreditation Scheme, but also for being an energetic committee who exceed in promoting and improving the football experience for all their participants.